Koalas, magical assassins, hogtaurs and more, coming from Image Comics in January. 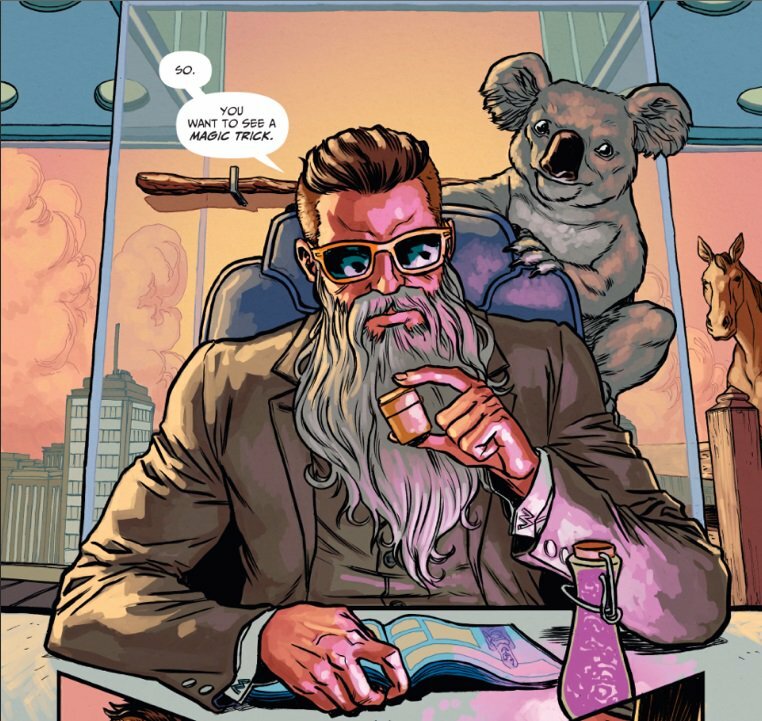 Get ready to meet Wizord, an “evil wizard in good-wizard disguise,” as Charles Soule and Ryan Browne team for “Curse Words,” winner of this week’s Best New Title for a Comic award. Announced in the special Comic-Con edition of Entertainment Weekly, Soule (“Daredevil,” “Letter 44,” “Strongman”) and Browne (“God Hates Astronauts”) will pit Wizord and his koala against magical assassins, hogtaurs (like centaurs, but hogs) and other craziness. “It’s about time that two guys with silent Es at the end of their names got together and told an epic story about a Wizord and a koala,” Browne added. Published by Image Comics, “Curse Words” is due out in January.